If you go to college out of state, can you still run for office in your hometown? 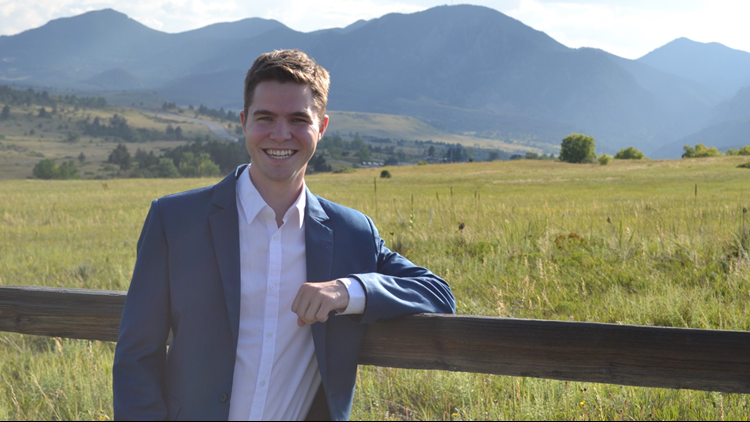 There is a 22-year-old running for office in Superior who went to college in New Jersey, but moved back into his parent's home over the summer. KUSA — 9NEWS viewer Heather wrote us Wednesday morning, curious about residency requirements for candidates running for the board of trustees in her town of Superior. Heather asked if this was typical, so 9NEWS decided to find out. REGISTRATION ELIGIBILITY AND RESIDENCY A person’s residence is the primary home where the person lives and intends to remain indefinitely, and whenever absent, has the present intention of returning. An elector with no fixed permanent home may use any address that they regularly return to and have the intent to remain... Students and military or overseas electors do not gain or lose residency because of an absence from the state. A military or overseas elector may register with his or her last known address in Colorado, even if the person no longer owns or lives in the residence. But do the residency rules for voter eligibility also apply to candidates running for office? So who is the candidate in question? He’s Dalton Valette, 22, who graduated from Drew University in New Jersey earlier this year. He moved back into his parents’ home over the summer. He describes himself as a political nerd who dressed up as George Washington in first grade. By third grade, Valette said he could recite the names of all the presidents, forward and backward. Maybe Heather can rest easy now.